The Texas “Q” scene is crowded at the top these days. In the past several years, a host of new pitmasters have entered the scene, further elevating a food genre that exists in a rarefied, if smoky, atmosphere. Franklin, Snow’s and La Barbecue all have come on strong. And of course John Meuller is back on the scene, in Austin. That said, the classics remain the classics. The City Market in Luliing, Louie Mueller’s in Taylor, Cooper’s in Llano. But Lockhart, TX has the trifecta: Smitty’s, Kreuz Market, and Black’s Barbecue. Three of the best in Texas all within tasting distance. I happened through Lockhart, TX a month or so back, and it had been a while – too long, in fact – since I’d visited the epicenter of the Texas Q-quake. Decided to drop in to Black’s Barbecue. Black’s is pretty much a permanent resident on the leaderboard of great Texas barbecue shops. They’ve been serving up the good stuff since 1932. I was ready! The place is a true Texas classic: Cafeteria line service, knotty pine walls, friendly staff dishing up the eats. LBJ used to have Black’s sausage flown into the White House. Even now, the Fed Ex truck is there on a daily basis getting the fine tastes of Black’s out to a hungry nation. Brisket is what I think of as an “any given Sunday” meat. On any particular cook, everything has to come perfectly together to achieve the highest level of quality. The meat, the seasonings, the smoke, the time, and the temp: One element is a little off, the whole cook is off. 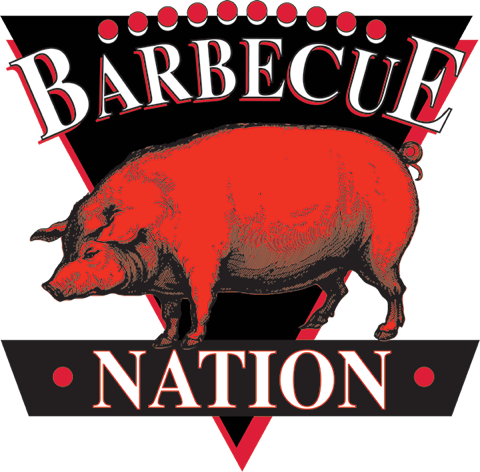 Thus, one of the most frequent complaints about barbecue joints has to do with consistency. Not an issue at Black’s. With 82 years of practice, they’ve it down! Everything was right on the money at Black’s. The barbecue was absolutely perfect.The moist, tender, smoky brisket couldn’t have been better, and the sausage? Well, you have to taste it to believe it. It’s ground a little coarse and seasoned to a level that places it right at the top of the shop for a fabulous eat! Black’s logo sports the motif “Take me back to Black’s.” Get some o’ that good meat there, and you will be saying’ that your self. Prev Post: What’s Missing in the Sauce?